The lower tank edges of the LC8 Adventures are exposed in the event of a crash or tip-over. 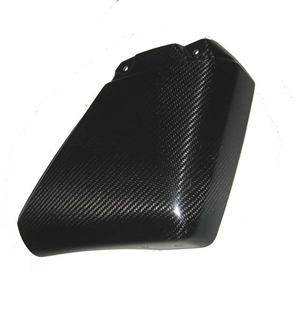 Protect them with these tank guards and get the added bonus of enhanced looks with the beautiful carbon fibre. Fit and finish is always superb!